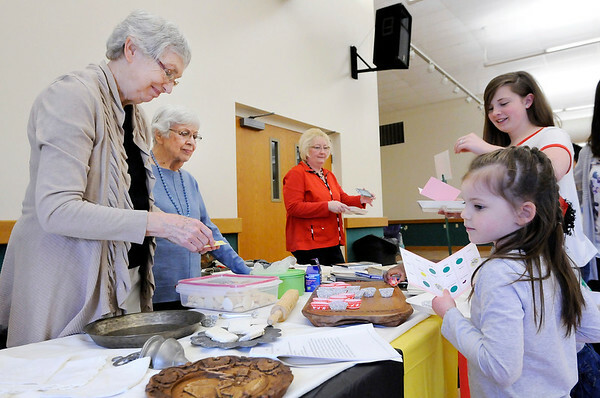 Alana Fulton, 5, looks at a German display after sampling a Springerle cookie from Carole Hans and Virginia Clay at the Heritage club booth during the International Tasting Tour by the Madison County Extension Homemakers at the Madison County 4-H Fairgrounds Wednesday. The cookies were made by Hans and Suse Vinson. Over 100 people turned out for the event with booths from 18 Homemakers clubs.